Do you love a great dessert ? By the way, Who doesn’t love dessert ? Everyone has some craziness for sweet depending upon their taste buds. 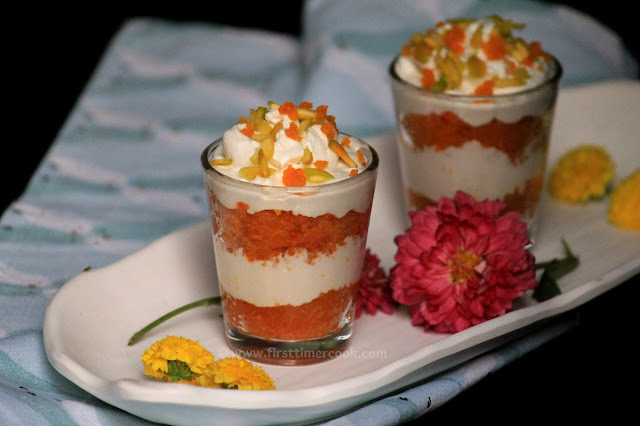 Motichoor whipping cream parfait is so good to taste, simple and easy to make. The literal french meaning of the word parfrait is perfect. 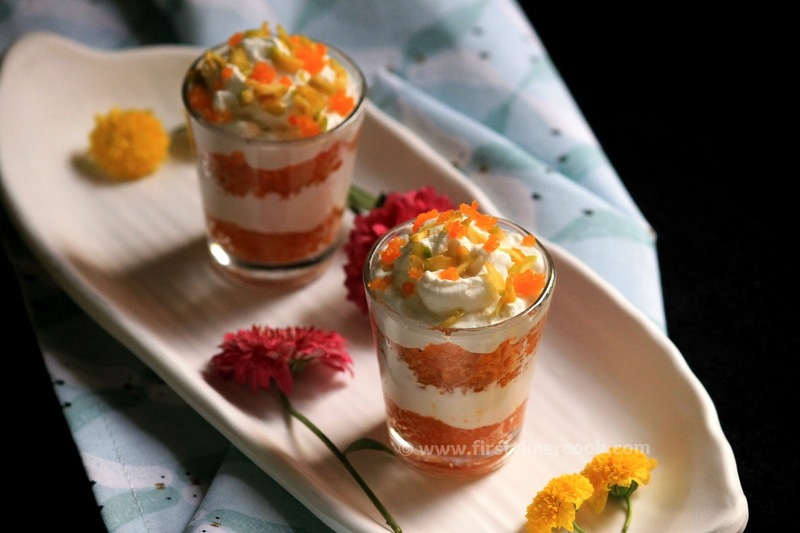 Basically a parfait refers to the traditional French-style frozen dessert consisting of layers of ice-cream, meringue and fruit, served in a tall glass. Since the new year has just begun, so I thought of making first a dessert post for my blog but with a fusion. 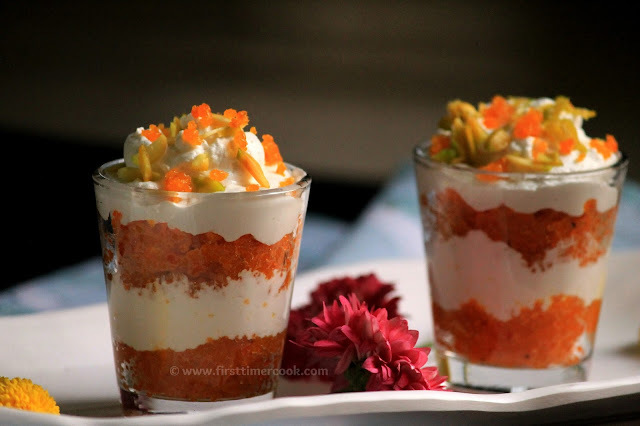 So here I came up with motichoor boondi with whipped cream parfait. 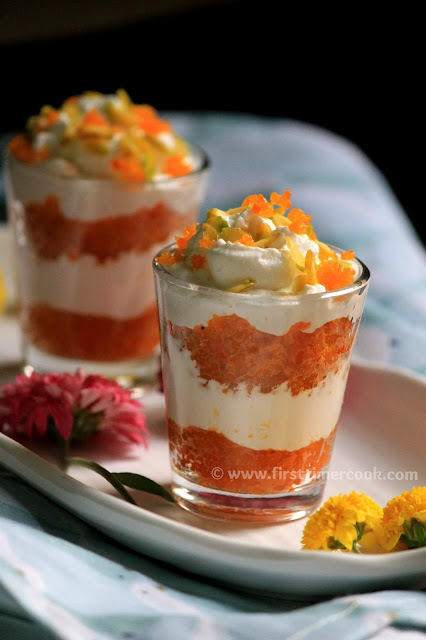 These are completely eggless parfait and dont require any baking techniques. So the detail method of preparation are mentioned below. Take the whipping cream in another large bowl. Whisk the cream using electric whisk for about 7-8 minutes in the highest speed or until stiff peaks arise. Don’t overdo the beating as the cream might turn into butter. Then fill a piping bag with the cream. Now take shot glasses. Make a layer of motichoor, sprinkle some chopped pistachio, then pipe a swirl of cream on top. Then again make a layer of motichoor on top of the cream, sprinkle some chopped pistachio and pipe a swirl of cream. Finally garnish with some chopped pistachio. Chill in refrigerator for 2-3 hours before serving !